We Mothers Interiors Pvt. Ltd., are pioneer concerns in window hardware technology, who established themselves in the last decade of 20th century. The range of curtain rods we offer to clients include: Curtain Poles, Tie-backs/Tassels, Curtains, Hold Backs, Tie-Back Hooks & Accessories We provide a permanent solution to window fashions that reflect a sophisticated lifestyle and taste. Our products possess some unique features, which are so essential yet missing in conventional and look alike curtain rods. These rods are available in various sizes, attractive color and different material, which provide widest ranges in South East Asia to our clients. Highly advanced manufacturing unit and support of skilled labors are the key reasons behind the awesome range of rods we manufacture for our customers. As the curtain rods we manufacture have got various embellishments and stones, which are used to make them look more attractive. It becomes essential for us to provide a safer and flawless delivery of these products to clients. Therefore, we have got special packaging facilities, which further complement our work process. 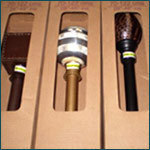 Each Rod set with all accessories are individually packed in a strong brown box / colored box with a window showing the finial and then they are further packed in brown / colored boxes. They also comes in DIY packing where rings, brackets etc are packed in a single pack. We pay a high emphasis on maintaining the quality of the products we manufacture. Being an ISO certified company, we make it a point that all are products must be manufactured as per laid standard specifications. Our products meets the statutory international regulations of Quality Manage­ment Systems as they are tested at various stages of production. Our company is the first to introduce latest telescopic / adjustable set of world class drapery hardware solutions. This has enabled us to export our products amidst stiff international competition. We offer to our clients, more than 65 designs in curtain rods, which are different for each other in their designs, material used, patterns as well as colors. In order to provide the most sophisticated yet durable range of products, it becomes essential for us to make all the products with the best raw material. We source the material from trusted manufacturers and exporters in domestic and overseas market. The material used in our manufacturing process include: Steel, iron, wood, plastic, beads, bones, horns, ceramic, cane, crystals, glass, metal, pearl, mashed paper and many more.